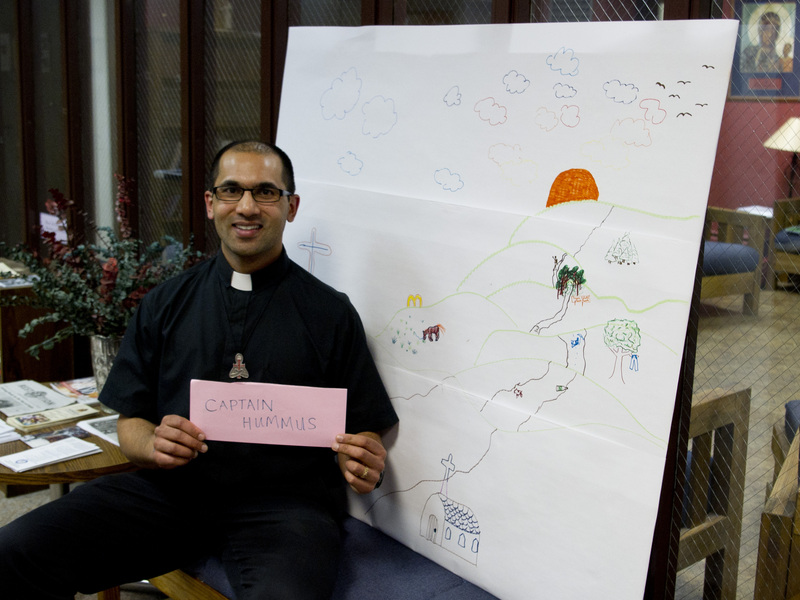 July 10– Pray for Father Simon! I was walking down the street to mass one day and I saw this guy. Pretty much. (Funny how God pulls people together. We’re both consecrated to Mary, too, and we know she pulls the holy strings). He had just arrived in the city from Canada, so I gave him some mad insights on cool people and what not. He became the campus minister at my sister’s school and we crossed paths more often. I invited him on the Camino back in the fall. He didn’t commit for weeks…months! And then we went to the New Year’s Retreat together and I prayed to Mary that I would know things by the following Saturday. That Friday he told me he was on board…but that he wanted to walk the full way: from France. We meet up with Father Simon soon! I’m SUPER thankful we have a priest with our group. This way he can celebrate mass and hear confessions (ahem, mine) as we travel.